The sauce should taste salty first, then sour, then sweet. 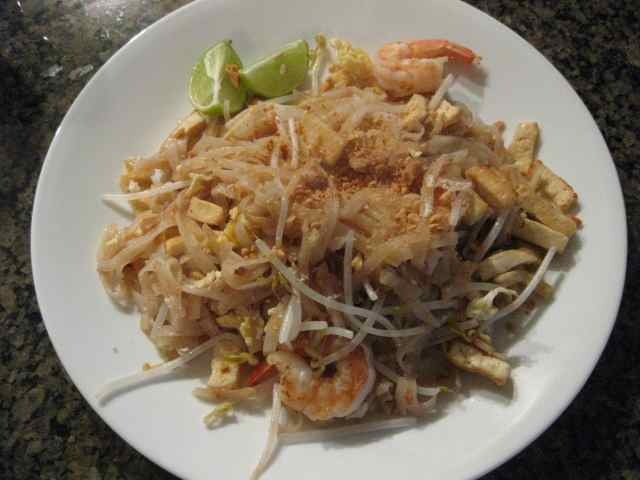 Add beansprouts, chinese chives, tofu, prawn and/or chicken, peanut and stir fry everything together. Serve with lime, chilli, sugar and fish sauce.